Lemax The Little British Tea Cafe lighted building depicts a traditional thatched cottage tea shop with outside seating. Internally illuminated village miniature table piece suitable for placement within a themed Lemax village display. 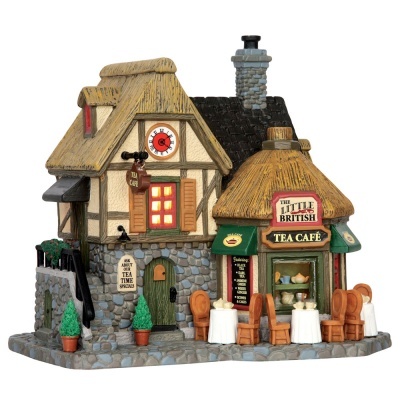 The Little British Tea Cafe is a recent addition to the growing Lemax Caddington Village miniatures collection in 2015. 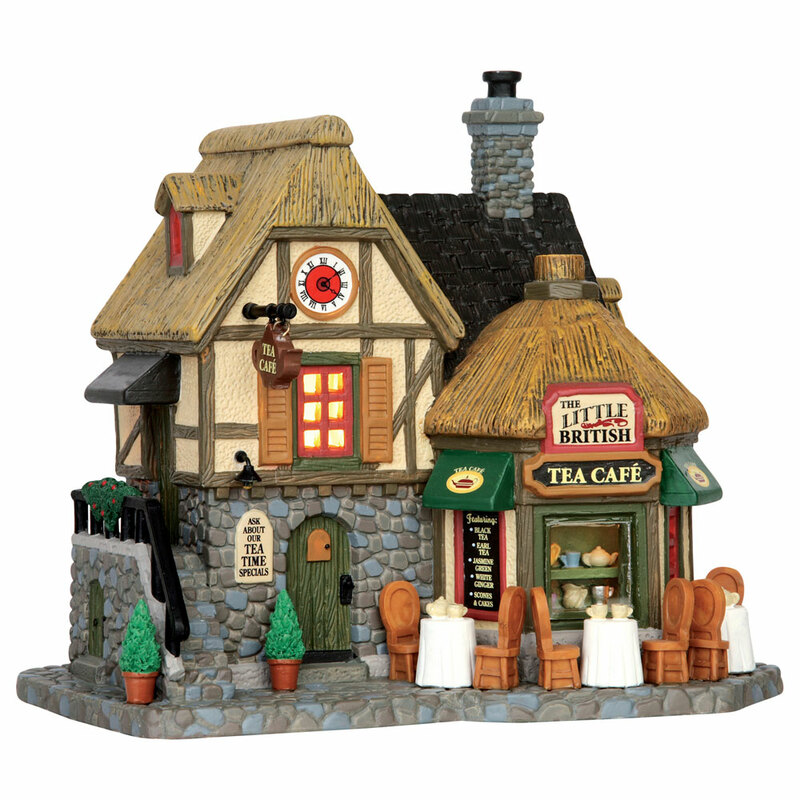 The Little British Tea Cafe is a single porcelain hand painted miniature building on a single street setting base, that includes a welcoming internally lit shop window scene.